I have just completed a review of what has been achieved and learned in the study during the course of the last five years. In the period immediately after the Scandinavian occupation of the Isle of Man (800-1265AD) a quarter of the male population were of Scandinavian or North European origin. Unexpectedly, a number of male Manx lines with different family names were found to be related and share common male ancestors in the period before hereditary family name adoption. The unique Y-DNA signatures of more than 70 (out of 125) Manx family lines have been identified and knowledge about their early origins gained. Kelly from the Isle of Man is really so! All those familiar family names (e.g. Curphey, Bridson, Kennaugh etc) which we consider to be typical of and unique to the Isle of Man are shown to be indeed so. Different variants of the same original Manx family name, which are popularly assumed to be equivalent, e.g. Callister and Collister, etc are indeed the same family. Most Manx families show a single male genetic origin, as would be expected of such small families, but with several exceptions. Every one in eight men tested in the study did not show the genetic profile associated with the rest of his family. The names of some early Manx emigrants changed/evolved after they left the Island in the 1700-1800s. The close-relatedness of the Manx community genetically is a notable feature of the Isle of Man, as might be expected. Y-DNA testing indicates that a number of male lines are connected from early times. However autosomal DNA testing provides further anecdotal evidence of this characteristic amongst a small population of people with Manx ancestry. The Isle of Man: Historically a more closely-knit community than we think! The Isle of Man is only small in physical size (221 square miles) and its population relative to its neighbours has always been small also. Until the 19th century the majority of the population worked on the land or sea and lived in, or close to, the countryside. Any movement of the population was largely limited to farmers seeking new farmland to rent or people marrying someone from another parish. In this rural community it was common for marriages to take place between neighbouring families and, over the centuries, many of them ended up related to each other in some way or another, within a parish or surrounds. The result of this is that the community of the Isle of Man has always been closely-knit and everyone tended to know or know of their near family relatives. Anyone researching their own Manx family history today will find that fact out quickly and see the same range of other Manx surnames marrying into their own ancestral family. Those people living on the Isle of Man, whose families have lived there since the last 500-1000 years or so, are identified by their range of unique family names. In early times individuals were originally only known by their single or personal names. Such personal names were often nicknames or descriptive (e.g. Duggan = “little dark man”) but around 1000 years ago the Celtic patronymic system of names started to be adopted. The motorcycle races known as the Isle of Man TT (Tourist Trophy) remain one of the worlds most challenging sporting events. Here riders reach speeds well in excess of 200mph, passing within inches of houses, lamp-posts and stone walls as the negotiate the seemingly never-ending series of bends, hairpins and humped bridges on a 37¾ mile circuit of the island’s roads. Almost from the outset the event has courted controversy, with both the national and international press devoting more column inches to documenting the risks and rising death toll than any other facet of the racing or its results. Yet despite these dangers both locals and race fans alike vehemently defend the event as one of the last bastions of true freedom and sportsmanship. 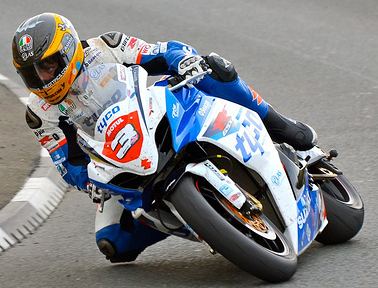 Some interesting new thoughts on the Isle of Man TT Races with its impact in Manx identity are given in a new paper by Ray Moore, Matthew Richardson and Claire Corkill in a paper for the Sport, Heritage and Tourism special issue of the Journal of Heritage Tourism. This editorial blog by the editor, Greg Ramshaw, gives a flavor of this research. I am pleased to announce the online publication of Identity in the “Road Racing Capital of the World”: heritage, geography and contested spaces by Ray Moore of the University of York, Matthew Richardson, Manx National Heritage & Claire Corkill, University of York. This paper is part of the special “Sport, Heritage, and Tourism” issue of the Journal of Heritage Tourism, available in its entirety this autumn.